USA Insulation franchise opportunities in Milwaukee, Wisconsin! Are you considering business ownership? Then you should consider buying a franchise business in Milwaukee! You don’t have to be in the brewery business to thrive in this vibrant city that’s perfect for aspiring business owners. According to Entrepreneur magazine, Milwaukee ranks as one of the “hottest” urban regions for entrepreneurs. BizStarts Milwaukee helps aspiring entrepreneurs by connecting them to the right resources needed for success in the Milwaukee region. With plenty of resources available to aspiring entrepreneurs, Milwaukee makes starting a business downright effortless! Looking for more info on the USA Insulation franchise opportunity in Milwaukee? Complete the form below. Why open a USA Insulation franchise in Milwaukee? Owning a USA Insulation franchise has more opportunity for growth than most might think. We understand that insulation isn’t the most exciting product but there’s certainly a need for it. In Milwaukee, around 86% of homes were built after 1990, leaving a significant amount of homes that were built prior to that when only a fraction of state building codes required insulation to be installed during construction. With a population of nearly 600,000, that’s a lot of potential homes that are under-insulated, or don’t have any at all! 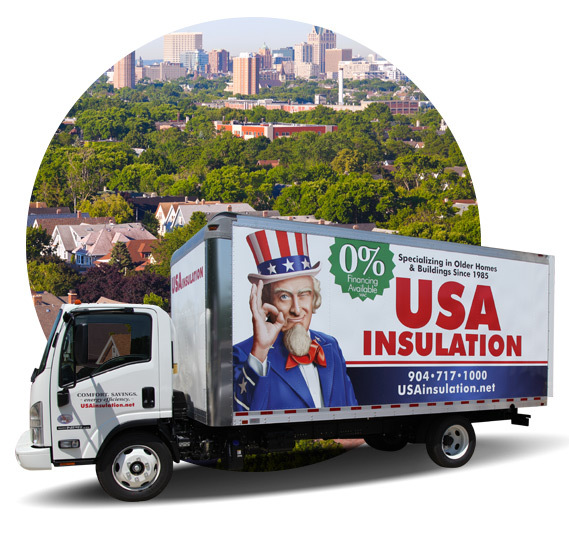 Combined with the market potential in Milwaukee and surrounding areas, a USA Insulation franchise can also serve multiple markets allowing your business to grow to unimaginable heights! It’s clear that becoming a USA Insulation franchisee in Milwaukee is the smart investment to make!